The board of the Economic Development Corp. (EDC) of Sarasota County voted this week to approve a settlement with Citizens for Sunshine, a Sarasota nonprofit organization, involving public records and open meetings lawsuits dating to 2009 and 2010, respectively. The agreement calls for the EDC to pay a total of $50,000 to Andrea Flynn Mogensen, the Sarasota attorney who represented Citizens for Sunshine in the cases. The first lawsuit was filed “after the EDC refused to provide access to records sought about its activities, including economic development grants and other incentives paid for with public tax dollars,” says a Citizens for Sunshine press release. The second case followed the organization’s discovery that the EDC was not complying with open meetings guidelines of Chapter 119 of the Florida State Statutes, known as the Sunshine Laws, the release adds. Those documents are to be provided to the nonprofit within 15 days of the effective date of the settlement. The EDC board’s action came during a meeting that began at 8 a.m. on Feb. 18, the organization’s attorney, Morgan Bentley of Bentley & Bruning in Sarasota, told The Sarasota News Leader. Michael Barfield, a paralegal in Mogensen’s office — who is also vice president of the Florida Chapter of the American Civil Liberties Union (ACLU) — told the News Leader that Citizens for Sunshine’s board had approved the agreement earlier. Sarasota County also was a party to the public records case, but the County Commission did not have to vote on the settlement because the amount of attorney’s fees is within the range that County Administrator Tom Harmer can handle without board action, according to county policy, Barfield said. The agreement was reached during court-ordered mediation on Jan. 21, which lasted all day, Barfield told the News Leader. The public records case had been set for trial on June 27 in the 12th Judicial Circuit in Sarasota, Sarasota County Clerk of Court records show. Bentley told the News Leader in a telephone interview that the EDC board members have been compliant with the state’s public records laws for the past six years. “They will keep doing that,” he said. As for the Sunshine lawsuit, Bentley added that the board has been advertising its meetings, which are open to the public. However, he pointed out, the EDC’s committee meetings do not have to be held in the open. “When tax dollars are at stake, corporate welfare must be as transparent as the law provides,” Anthony Lorenzo, a member of the board of Citizens for Sunshine, said in that organization’s press release. “Our goal is to maximize transparency for all citizens and make it easier to find out about what their government is up to when it gives out taxpayer dollars,” Lorenzo added in the release. The settlement was signed by Mark M. Huey, president and CEO of the EDC, Assistant County Administrator Steve Botelho and Mogensen. The chair of the EDC board is Pat Dorsey of the Herald-Tribune Media Group; vice chair is Jim Kuhlman of Stonegate Bank; and the past chair is Larry Fineberg of Benderson Development Co. Among the board members is North Port Vice Mayor Rhonda DiFranco, Longboat Key Town Commissioner Irwin Pastor, Venice City Councilwoman Jeannette Gates, Sarasota City Commissioner Liz Alpert and Sarasota County Commissioner Christine Robinson, according to the website. In its press release, Citizens for Sunshine says its mission “is to promote and enforce compliance with Florida’s open-government laws.” The release adds that the organization has been involved in numerous legal actions in the trial and appellate courts “throughout the State of Florida” since 2008, both as a party and as amicus curiae. The 2009 case — a petition for writ of mandamus — said that in January 2004, Sarasota County “identified goals, objectives and strategies for economic development, as set forth in the Sarasota County Economic Development Strategic Plan,” which covered the years 2004-2008. The county paid for that plan, the petition points out, adding, “One of the recommendations of [the plan] was to establish a nonprofit organization that would facilitate the goals, objectives and strategies for economic development.” As a result, the petition says, the EDC was incorporated in May 2004, and it works “in coordination with the Tourism and Economic Development Board” to determine the projects that will be funded through annual appropriations by the county and the municipalities in the county. The 2009 contract includes the stipulation that any materials — including letters, photographs and sound recordings, regardless of their physical forms — are the property of the county “and shall be delivered to the COUNTY upon request,” the writ says. 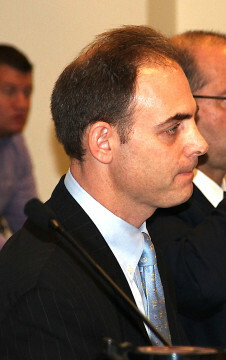 In an answer attorney Bentley filed on behalf of the EDC in March 2010, he says the organization “relied on the advice of counsel in good faith as to whether the EDC was subject to [the state’s Sunshine Laws,” so it was not unlawful for its staff to refuse to produce the records Citizens for Sunshine sought. According to the Aug. 7, 2009 email Baylis sent to Citizens for Sunshine, Jeffrey S. Russell of Shumaker, Loop, and Kendrick was the EDC’s attorney in the matter. 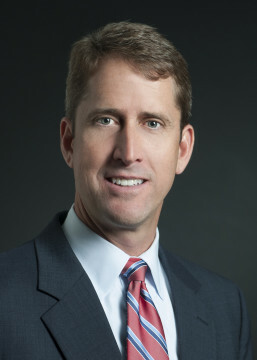 An Aug. 5, 2009 letter from Russell to Baylis says that after his review of the “applicable statutes, case law and attorney general’s opinions” and discussion with the Office of the County Attorney, he felt “there is strong probability that the [EDC] is a private organization and, therefore, not subject to a public records request. The answer also says that the EDC “has contracts with Sarasota County,” for which it is paid. Bentley told the News Leader this week that a couple of pending court cases might provide more clarity about whether the EDC’s meetings and records should be public.